Lauren Binder (left) and Bridget Dawson train at Multnomah Athletic Club. Binder planned to return to the International Triathlon Union’s championships in London this month, before an ill-timed cycling accident broke her leg. Meanwhile, Dawson will travel to Henderson, Nevada, to try for the world championship of an even more grueling competition, the half Ironman. Dawson will swim more than a mile, cycle 55 miles, and run 13 miles on sweltering desert streets. Their two paths to the international triathlete circuit couldn’t be more different. Dawson, a six-foot-tall, ropy-muscled brunette, was already an athlete during her girlhood in Iowa. She played high school basketball and baseball, and ran track through high school and college. In her late 20s, intrigued by biking, she entered a duathlon. From there it was a quick transition to triathlons. Binder, on the other hand, a tanned, compactly built trauma surgery nurse, came to athletics later. She was 30 years old and living in California when she discovered running, and 49 when she first tried a triathlon. It wasn’t until she reached 60, she says, that “it all started coming together” and she hit her stride. The pair met at a triathlon in Portland in 2007. 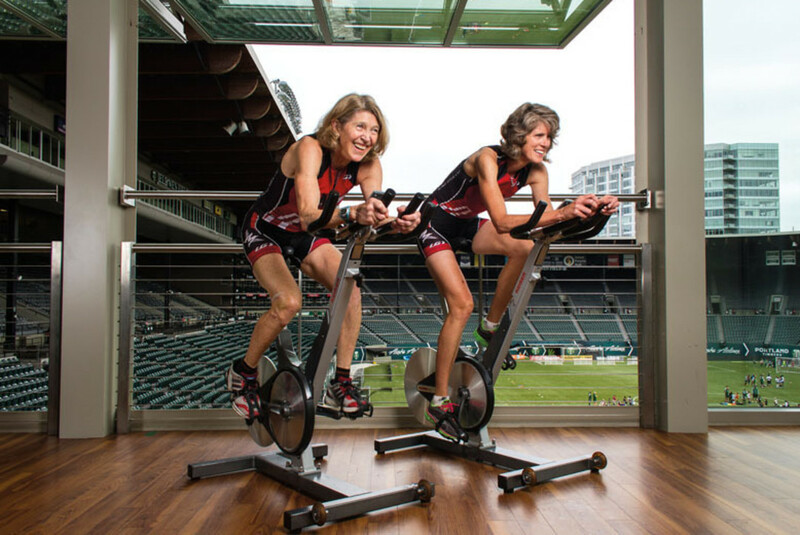 Now friends, the women train together at Multnomah Athletic Club and coach the club’s triathlon team, swimming in Hagg Lake and taking long bike rides through the countryside. (Sometimes they’re accompanied by Dawson’s daughter, Whitney, also a triathlon competitor.) While the phenomenal growth of women’s sports means they’re not quite trailblazers, they still see the female in action as an emblem of empowerment. “Seeing other women compete is inspiring in more ways than the physical,” Binder says.